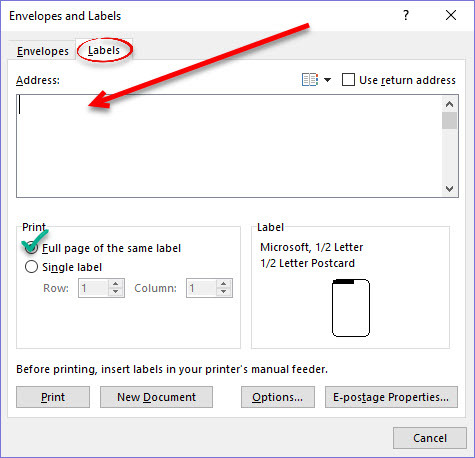 How to create a full page of labels in Word 2016, where each label is different. This process also works in Word 2013 & 2010. 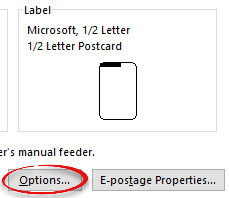 Step 1:Select the Mailings tab. In the Create group, choose Labels. The Labels tab should be selected. 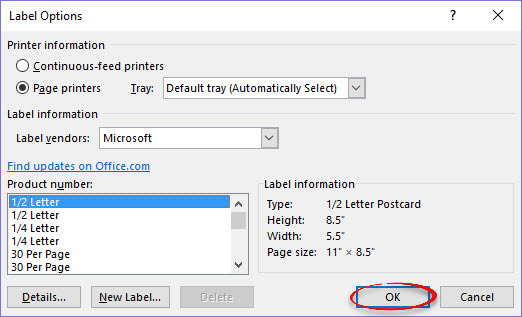 Delete anything in the Address text box. Under Print, check Full page of the same label. 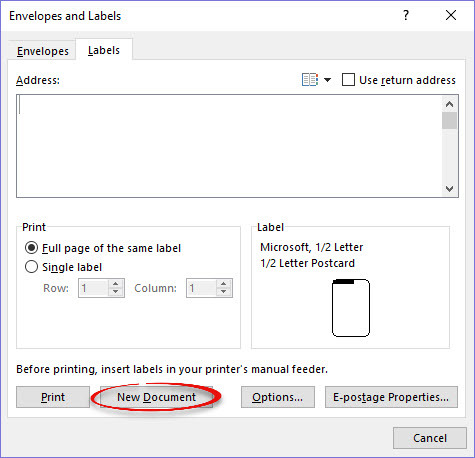 Choose the manufacturer of the label, select the product number, then click OK.
Click New Document in the Envelopes and Labels window. The labels will appear. If you don’t see the grid lines for the labels, do the following to display them. These grid lines will not print. 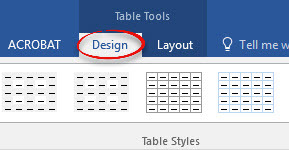 In the Table Tools group, select the Design tab. Click the Borders drop down arrow and select View Gridlines. When the grid lines show, you are ready to type in each label. Click in a label and begin to type. If you need more labels, press the [Tab] key when your cursor is flashing in the last label on the page. An additional page appears with one row of labels. If you need another row of labels, just press [Tab] key again while your cursor is in the last label.